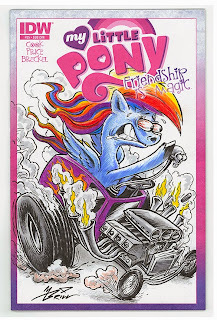 My local cartoonist's group (the Cartoonist's League of Absurd Washingtonians) recently held one of our monthly public drawing sessions and the theme was Big Daddy Roth Hotrods! This is normally outside of my comfort zone since I am not a big car enthusiast, but I decided that since Absurd is literally the middle name of my group I would do something as silly as possible. 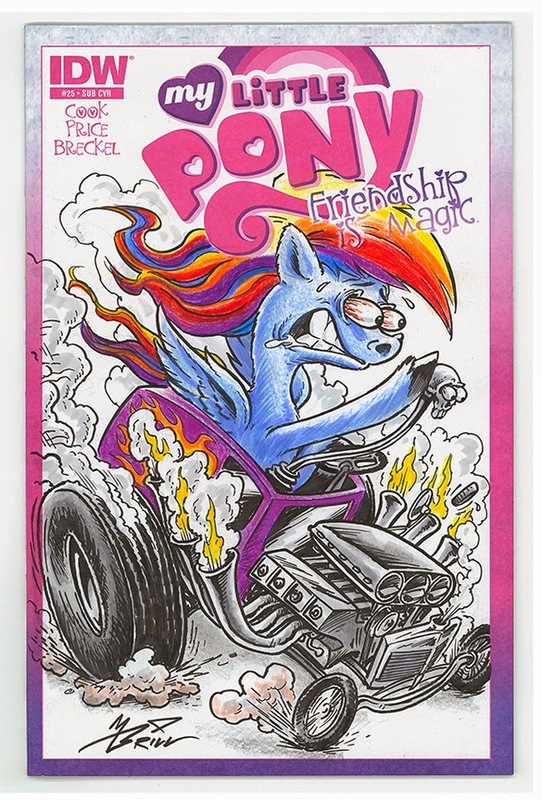 And what could be sillier than taking a My Little Pony sketch-cover comic and turning one of these sweet, innocent, beloved characters into a frothing, bug-eyed, frenzied hotrod street-demon! Anyway, this was the resulting artwork.